'Why … Why …Why’..? !’ It’s a plea many of us are all too familiar with. 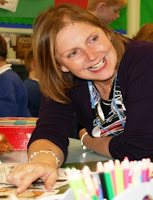 The pursuit for information, a thirst for knowledge from young children …. even those children who are non-verbal, seek understanding and explanations, a curiosity in their eyes often matched with an earnestness. Whilst young people may be hesitant in coming forward with their ‘why’s’ in the same way as a younger child, the uncertainty about the world is still deep, the quest for facts, especially about health related issues spans the age continuum. Information is power, and building health literacy skills of children and young people is something which deserves greater focus if we are to meet the ambitions of the Five Year Forward View so that society gains far greater control of their health and care. The Children and Young People's Health Outcomes Forum reminds us there are over 15 million children and young people in England, making up 25% of the population, all have a need to develop health literacy skills to promote their wellbeing. Some of course have additional health needs, 6% of children and young people have a disability, 14% have a long standing illness, 10% have asthma, 66,000 have autism, 60,000 have epilepsy, 23,000 have diabetes and 68,840 are looked after children. Future in Mind the 2015 report of the Children and Young People’s Mental Health Taskforce highlights that over half of mental health problems in adult life (excluding dementia) start by the age of 14 and 75% by age 18. We also know that children and young people from Black and Minority Ethnic (BME) backgrounds report poorer experiences of care, as do children with learning disabilities and those with complex health needs. Critically 43% of children and young people in the recent Care Quality Commission Survey of Inpatient Care indicated that they were not as involved in decisions about their care as they would wish to be. It salient to remember we also have an estimated 700,000 young carers who are not only seeking to build their health literacy skills but also require these skills to advocate for those they care for. These statistics confirm the diverse health literacy needs of children and young people, from universal health information to more specialist subject areas. High quality developmentally appropriate information that embraces the fact children and young people are digital natives’ demands attention, children and young people are after all the whole of our future population. A recent meeting of the Patient Liaison Group of the BMA focussed on this issue this month, highlighting the need to give attention to empowering children and young people to be more involved in managing their own health (Dr Selwyn Hodge, Self-Care Forum) and the importance of improving their health literacy (Dr Joanne Protheroe, Chair of Health Literacy Group , UK). In response, the current President of the BMA, Sir Al Aysnley-Green, expressed his concern that children often get a poor deal in this country, and the emphasis needs to shift. The discussions led us to recognise however we’re not starting from scratch; there are a number of ‘bright spots’ across the country that are worth reflecting on. It was children themselves in the CMO Report Our Children Deserve Better Prevention Pays in chapter 4 who said that the link between health and education needs to be strengthened and there’s certainly a role for school governors in ensuring health within schools receives focused attention, this guidance from the Children’s Outcomes Forum explores their role in making this happen. Youth advisory groups can be wonderful advocates for the need to improve health information for and with young people. The NHS England Youth forum, who tweet at @NHSYouthForum is a group of 25 young people recruited from a range of backgrounds from across England to challenge the NHS on its focus on the issues that matter to children and young people. They’ve recently developed posters on consent, confidentiality and feedback as these were areas that children, young people and families found difficult to understand. It’s a great example of young people identifying a need and then doing something about it by working in collaboration with those in the NHS, a discussion with Sir Bruce Keogh; Medical Director of NHS England about the content was a highlight for the young people developing these resources and they have now been disseminated nationally. The Teenage Cancer Trust tweeting as @TeenageCancer have recently published ‘A Young Person’s Guide to Cancer’ based on what other young people have told them about what they wanted to know when they found out they had cancer, it’s a fabulously accessible resource covering ‘med stuff, heart stuff, life stuff, life beyond cancer and handy stuff’ that is really valued by the young people it’s targeted. Healthcare professionals of course have an essential part in building health literacy of children and young people by involving them actively in consultations. The CYP Me First resources provide a range of tools to support health care professionals in building these skills. Programmes such as transition into adult services Ready, Steady, Go, Hello and Ask 3 questions can assist Health Care Professionals in bridging the information gap and really work to build health literacy in a practical way, especially in the preparation for transfer from children and young people’s services in the adult world of health care. These resources and examples shared here are far from exhaustive - there are indeed lots of 'bright spots' what we lack however is a national children and young people’s health literacy strategy that secures commitment from education and health in establishing strong foundations on which to build the capacity of children and young people to take control of their health and wellbeing. Of course strategies alone don’t change the world, mind-sets do. As healthcare professionals we can all play our part in making information accessible for, and with, children and young people, we can nurture their curiosity and encourage them to ask ‘Why..why…why…?’ Perhaps can you do this with the next child or young person you care for? Dr John McBeth and his team here in the Arthritis Research UK Primary Care Centre at Keele University are keen to help older people (age 65 or over) with chronic musculoskeletal pain to become more active. They want to make it easier for people in this age group to reduce their pain and also improve their overall health. And the key is…walking. Over the last 12 months the team has completed the first phase of the iPOPP study, where they worked closely with older patients who suffer with chronic pain and healthcare professionals to develop a simple, brief walking intervention specifically for this group. A comprehensive training package for local Health Care Assistants, who will deliver this intervention in primary care, was put together incorporating this work. 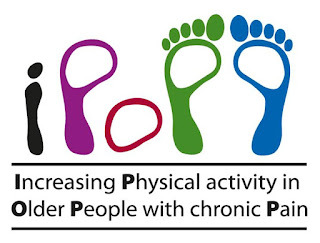 The second phase of the study is a pilot randomised controlled trial which will try out the iPOPP walking intervention delivered by Health Care Assistants in GP practices and assess its feasibility and acceptability to older people with chronic pain. The pilot trial is due to begin soon in a small number of practices in Staffordshire and Cheshire. During the summer, myself and Sara Muller were both successful in obtaining competitive Keele University Santander Travel Bursaries, made available by Santander bank for Keele students and staff to facilitate trips for education or research purposes. 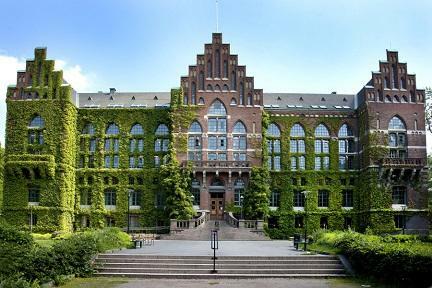 Using this funding we have just returned from a productive trip to Lund University, Sweden where we met with researchers and clinicians to form new research questions and build on existing links between our two universities. The process began in March 2015 when a group of Lund researchers led by Professor Ingemar Petersson came to Keele to meet with researchers and clinicians based at the Research Institute for Primary Care and Health Sciences, Keele. Though the focus of this meeting was primarily about Osteoarthritis and Musculoskeletal pain, there was also the opportunity for myself and Sara to meet with the group to discuss our epidemiological research around inflammatory conditions. These very useful initial meetings resulted in an invitation to visit Lund to explore the potential for collaborative research into inflammatory health conditions and allow comparisons between UK and Swedish populations. Our subsequent Santander bursaries made this trip possible by covering our travel costs. This research trip proved to be highly productive, successful and enjoyable. Lund is a beautiful University City in Southern Sweden and researchers from the Epidemiology Registry Centre, Ingemar Petersson, Anna Jöud and Maria Sandberg were very kind hosts. The focus of our trip was to investigate the potential for us to use Swedish healthcare data to ask new research questions. This is a unique opportunity, as all patient consultations in Scandinavia are recorded in regional registries and provide a wealth of information for the investigation of diseases in large populations. We also met with primary care physicians from the wider Skåne region, which provided a forum to discuss the similar and different research processes between the UK and Sweden. From a personnel perspective, I was able to meet with a Aladdin Mohammad, a Consultant Rheumatologist who has conducted several studies into Giant Cell Arteritis (an inflammatory condition of the blood vessels) using this registry data. We were able to plan several new sets of research analyses using the registry data to begin our research collaboration. Meanwhile, Sara met with Anna Jöud and Maria Sandberg to discuss details of a project, they had up until that point been planning by email, to look at outcomes for rheumatoid arthritis and how they differ between the UK and Sweden. They are now putting together grant applications to pursue this work further. This research trip has been an excellent opportunity to form solid research questions which will benefit all parties and lead to much research output in the future, as well as continue to strengthen the ties between Keele & Lund University. Sunshine greeted us at the start of the annual conference of the Royal College of General Practitioners (RCGP) in Glasgow on 1st October. A packed audience greeted Prof Maureen Baker, Chair of Council, who gave a robust defence of the NHS and an equally strong attack on the Health Secretary, emphasising the crises over junior doctors’ hours and recruitment shortfalls in general practice. With time allocated to view over 400 posters in the main hall, there were ample opportunities to bump into friends and colleagues to discuss posters of interest, catch up on old times and sit down for a cuppa. I was particularly proud of Mirella Fry - a medical student completing her SSC with me. Mirella presented a secondary analysis of the HoldFAST data (thanks to Sarah McLachlan and Tom Sanders for their support with this project). A poster reporting barriers to care for street-based prostitutes was also well received. The data were collected in Manchester by an Academic Foundation doctor in 2012, and the analysis was conducted by a team including Anna, my daughter. A photo of the poster was on Facebook and Twitter as soon as I spotted it. Neal Maskrey (Prof of Evidence-based Decision-making, here at Keele), Jill Rasmussen (RCGP Clinical Lead for Dementia) and I collaborated on a symposium on the challenges of managing an increasingly multi-morbid population, which provoked stimulating discussion and debate well after the session was timetabled to end. Joanne Reeve (Associate Professor of General Practice in Warwick), Liz England (GP and MH Commissioner in Birmingham), Lucy Cooper (Researcher, Liverpool) and I collaborated, on behalf of the Society for Academic Primary Care (SAPC) and RCGP, to present a symposium entitled ‘Thinking differently about mental health consultations’. We had submitted this as a workshop, and discovered two weeks before the conference that we were presenting in the main hall. Using role-play, we were able to demonstrate three styles of consulting, introducing the audience to the ‘Bounce-Back model’ (Jo) and ‘Behavioural Activation’ (me). This symposium generated discussion in the hall, and on twitter, and an agreement that the team will put together some resources for the RCGP and SAPC websites. The sunset on Friday evening was glorious, marred only by the disaster of broken glasses. What is it like to be diagnosed with gout? The Patient Experiences of Gout study began in January 2013. The main aim of the study was to create a new section about gout on the healthtalk.org website. Although there is a lot of information about gout available on the internet, much of this is inaccurate and not based on robust research evidence, reinforcing myths and misconceptions about gout. This is particularly the case in terms of the relationship between gout and diet, which is commonly exaggerated and misrepresented on the internet. Our new gout website resource summarises key issues about gout, drawing on relevant research evidence and using video and/or audio clips of people talking about their own experiences of living with gout. We hope that these will be of interest to others diagnosed with gout, as well as their family, friends and healthcare professionals. The new gout resource also provides more information that is specific to women with gout. Often gout is incorrectly believed to be a male condition, and we know from our research interviews that women feel there is a lack of public awareness about women and gout. Women who have been diagnosed with gout also told us that the photographs and images used in gout information booklets and on websites were predominantly of men's feet etc. By including interview clips of women with gout, as well as a section on gender and gout, we hope to begin redressing this balance. Our first journal article (based on the interview data we collected) has just been published, and discusses people's experiences of being diagnosed with gout. Gout diagnosis is a topic that has been written about extensively in academic journals before, but the focus has generally been on what methods are being used and/or should be used to diagnose patients, and how accurate these methods are. Our article differs from this approach because it focuses on diagnosis from the point of view of patients. It considers: what people thought when they first experienced symptoms; when and why they decided to seek medical advice; the process of getting a diagnosis and any issues around this; how people felt about being diagnosed with gout; and what actions they took immediately after being diagnosed. The article discusses the implications of these findings for understanding delays in diagnosis and self-management, and suggests that a more targeted approach to information provision is needed. Articles on other aspects of the study data are under review with journals, and will be published in due course. This is a summary of independent research funded by the National Institute for Health Research School for Primary Care Research (NIHR SPCR), Grant Reference Number 136. The views expressed are those of the authors and not necessarily those of the NHS, the NIHR or the Department of Health.